This is where it begins! 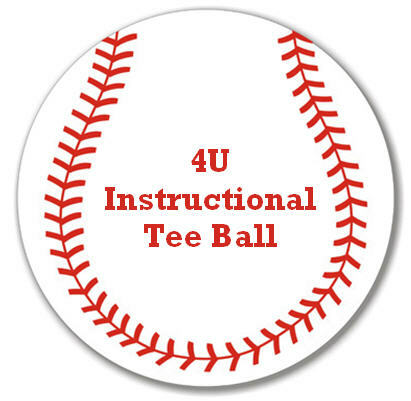 The 4U Instructional Tee Ball Division introduces children to the fundamentals of baseball and focuses on instruction rather than competition. All players participate every inning. There are no strike-outs; every batter will hit the ball. No game scores or standings are kept. All players will play the entire game. Soft, Reduced Injury Factor (RIF) baseballs are used for safety. Maximum 9 players per team. Soft, Reduced Injury Factor (RIF) baseballs are used for safety. Carpool requests and requests to play with friends will be honored if requested. Games are 2 innings or 1 hour, whichever comes first. 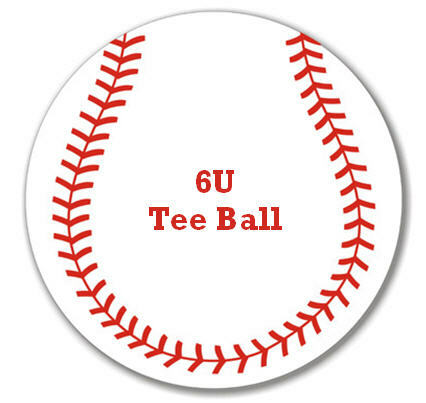 The 6U Tee Ball Division is the beginning stages where your children will learn the fundamentals of baseball, teamwork and competition play. Players at the end of the season in 6U Tee Ball Division should have learned how to run the bases properly, attempt to field ground balls and more importantly know where to throw them and understand the concept of out vs. safe, all in an environment of fun and sportsmanship stressed at both practices and games. Score and standings will be kept during games. Games are 6 innings or 1 hour 15 minutes, whichever comes first. The 6U Tee Ball division is a drafted league. Attendance at Player Evaluations is required. No carpool or friend requests will be considered. In the Spring season this division will feature an end of season double-elimination tournament with all teams participating. An All-Star team will also be assembled at the end of the Spring season. The All-Star team will play in tournaments against teams in the surrounding cities/counties. 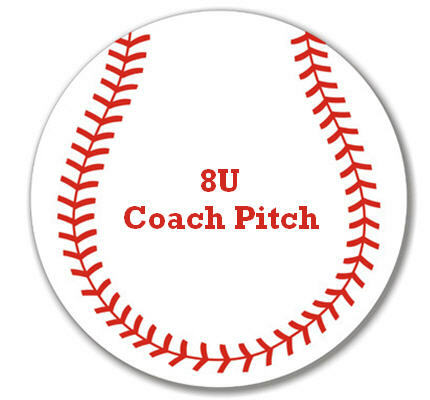 The 8U Coach Pitch Division is the step between tee ball and "kid pitch" baseball. In the 8U Coach Pitch division a coach pitches to the batters. There are no lead offs or stealing. Games are 6 innings or 1 hour 45 minutes, whichever comes first. The 8U Coach Pitch division is a drafted league. Attendance at Player Evaluations is required. No carpool or friend requests will be considered. 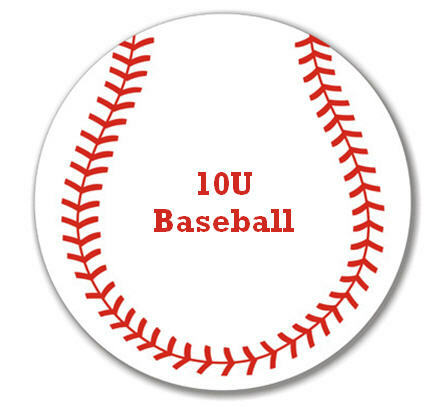 The 10U Baseball division is where teams begins to play a more complete level of baseball and is the first introduction to “Kid pitch” baseball where the players pitch to the opposing team. Each pitcher may only pitch 2 innings per game. Scores and team standings are kept. Base distance is 65 feet. Pitching distance is 46 feet. The 10U Baseball division is a drafted league. Attendance at Player Evaluations is required. No carpool or friend requests will be considered. The 12U Baseball Division is where you begin to play more competitive baseball and follow the rules of Major League Baseball closely. Players are allowed to lead-off and steal from all bases. Coaches will now have the opportunity to execute the finer tactics of advanced baseball. Games are 7 innings or 2 hour, whichever comes first. Base distance is 70 feet. Pitching distance is 50 feet. The 12U Baseball division is a drafted league. Attendance at Player Evaluations is required. No carpool or friend requests will be considered. 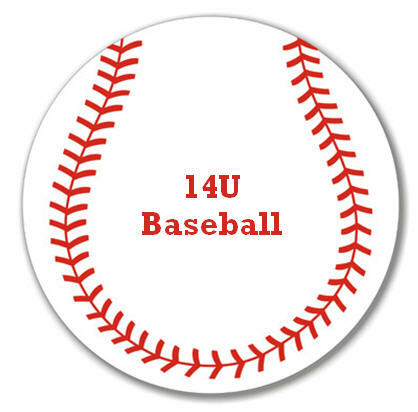 14U Baseball division is the stepping stone to playing High School baseball. Base distance is 80 feet. Pitching distance is 54 feet. The 14U Baseball division is a drafted league. Attendance at Player Evaluations is required. No carpool or friend requests will be considered. The 16U Baseball division provides players an opportunity to play full regulation baseball, and is intended as an extension of a player's high school experience. The diamond and pitching distance is the same size as high school, college, and professional baseball. Teams participate in interleague games with teams from neighboring baseball organizations. Base distance is 90 feet. Pitching distance is 60.5 feet. In the Spring & Fall season this division will feature an end of season double-elimination tournament with all teams participating.